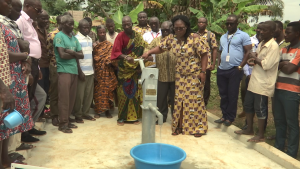 Over 1,400 residents of Jomoro and Aowin Municipalities of the Western Region have been provided with potable water for the first time through the Ghana National Petroleum Corporation, GNPC, Foundation’s 100 borehole water project for deprived communities. Three of the beneficiary communities who were on Tuesday, 20th November, 2018 handed with one borehole each, are Ngakan Community in the Aowin Municipality, and Old Ankasa and Nzemetianu communities in the Jomoro Municipality. Addressing separate durbars in each of the communities to hand over the boreholes, the General Manager of GNPC Foundation’s Sustainability Department, Kwame Baah-Nuakoh, said “the GNPC water project is basically to assist communities within GNPC’s operational area, that is the Western Region and other areas like the Voltaian Basin where the GNPC is currently looking for oil’’. Baah-Nuakoh however said the GNPC realized that “a lot of these communities had water as a challenge and some waterborne diseases are becoming prevalent’’, hence GNPC’s launch of the provision of 100 boreholes this year for 100 communities in the three regions of the Northern Region, Western and Volta regions under the Foundation’s Environment and Social Amenities, to end residents’ dependence on the use of polluted stream water for drinking and bathing as well as the spread of waterborne diseases. Dr. Kwame Baah-Nuakoh said GNPC needs the social license to operate just like their partners in the Petroleum industry, hence the need for these social projects which is also part of its core mandate. 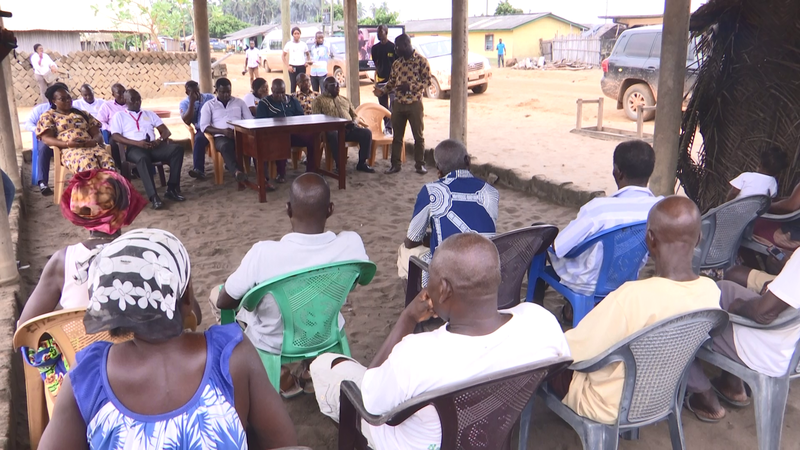 Meanwhile, the Municipal Chief Executive of Jomoro, Ernest Coffie, who joined commissioning of the boreholes praised the GNPC for the project, saying “almost all the coastal communities were given water systems, surprisingly when they got to Nzemetianu community they were left out, so you could imagine the agitation until now. So this one has come to calm the agitations’’. 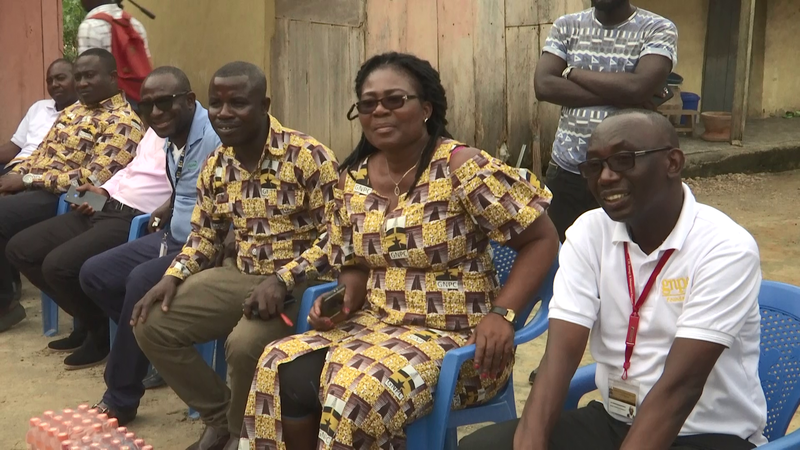 Meanwhile, the Deputy Manager of GNPC Foundation’s Sustainability Department, Patience Lartey, says the Old-Ankasa community which is also requesting for a kindergarten from GNPC Foundation’s Education and Training scheme, would be forwarded to the GNPC Board for consideration. 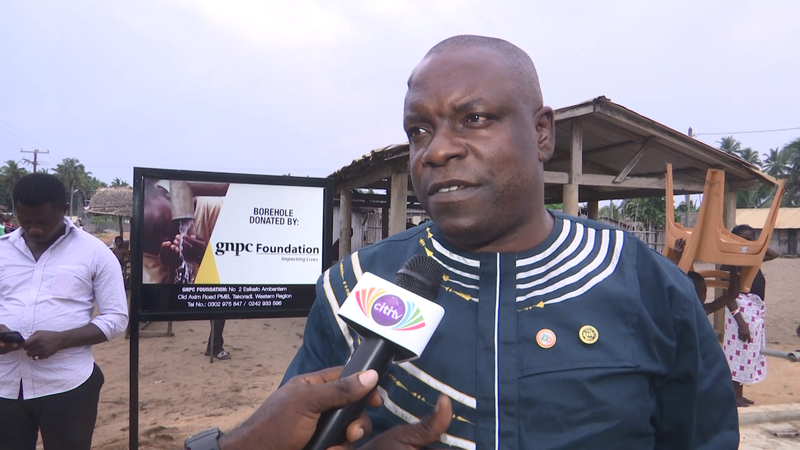 The post GNPC Foundation provides potable water to Jomoro, Aowin appeared first on Citi Newsroom.